A vast array of raw materials, including minerals, industrial fuels, and 'high-tech metals', play a key role in the development of industrial applications and advanced consumer products. 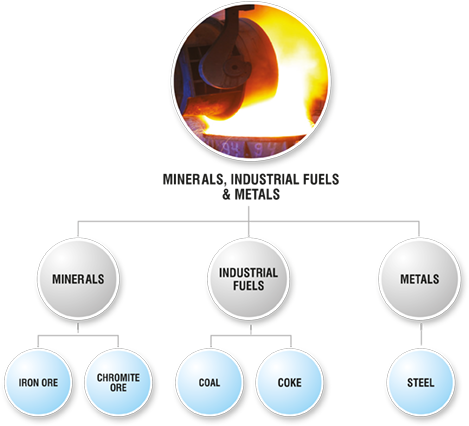 The demand is increasing for minerals industrial fuels, and 'high-tech metals' due to the economic growth of developing countries and metal products are the necessary ingredients of the world’s global economy. Metals help people survive; without them, lives would be completely different. The metals used today are elements, some of which are combined with another element. Together, the two elements make a compound. These compounds have been around for hundreds of years and have been an important part in the development of the world.